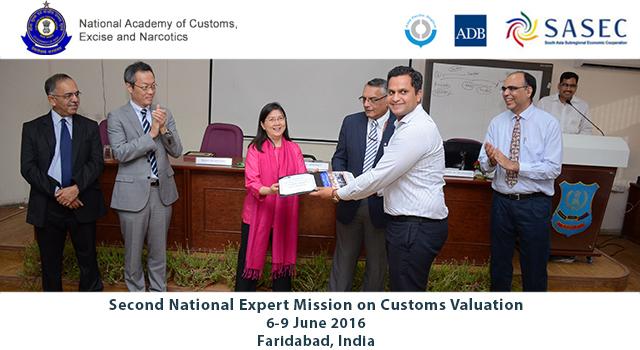 India National Academy of Customs, Excise and Narcotics (NACEN), in collaboration with the World Customs Organization Asia Pacific Regional Office for Capacity Building (WCO ROCB A/P) and the Asian Development Bank (ADB), conducted its second and final national workshop activity under the WCO-ADB joint subregional train-the-trainer on Customs valuation multiyear assistance initiative on 6-9 June 2016 in Faridabad, India. 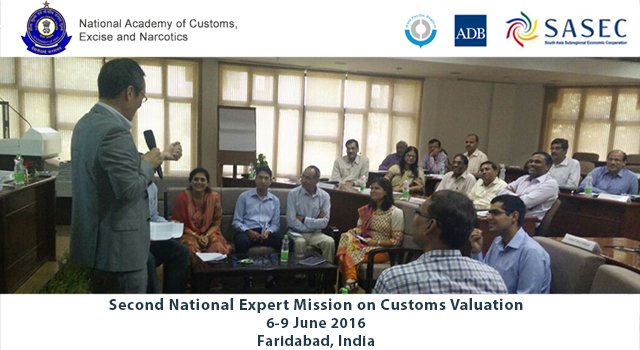 The Second Workshop supported project core members (PCMs) of India Customs in delivering a three-day workshop on Training of Trainers Program on Onsite Post-Clearance Audit. 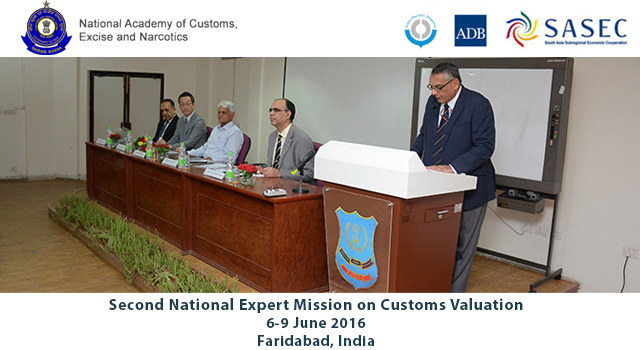 This Workshop follows on from the First National Expert Mission for the India Customs, held on 28 September-1 October 2015, which guided PCMs on delivery of training for onsite post-clearance audit, identified areas for potential enhancement and/or improvement in India Customs capacity for proper Customs Valuation control, and outlined a model training course and training materials to be used by CBEC Customs valuation trainers. Discussed existing challenges in operationalizing onsite post-clearance audit and possible solutions. 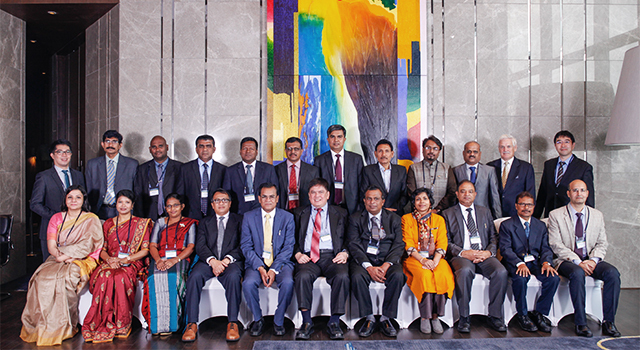 A total of 28 Customs officials were guided by technical experts from WCO ROCB/AP and Sri Lanka Customs through presentations and role plays to develop a deeper understanding of training methodology, and were updated on the subject of Customs valuation and onsite post-clearance audit. 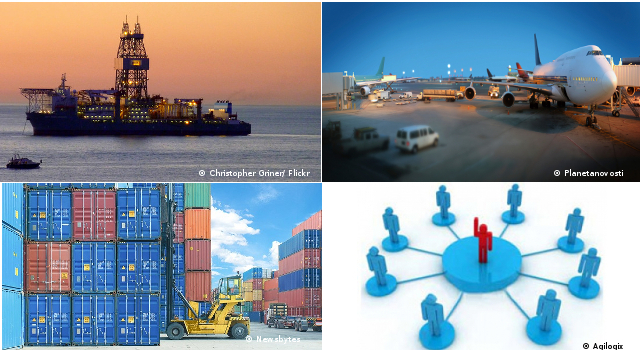 These skills will be used in onward training to the broader base of Customs officers, by the trained trainers. 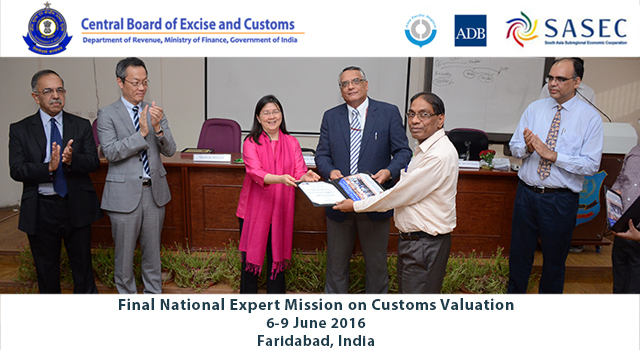 The Workshop also deliberated on a future course of action to improve onsite post-clearance audit within CBEC. Mr. Mahender Singh, Director General (Audit) and Mr. Sunil Kumar Sawhney, NACEN Director General, inaugurated the Workshop. Ms. Teresa Kho, ADB Country Director-India, delivered closing remarks. 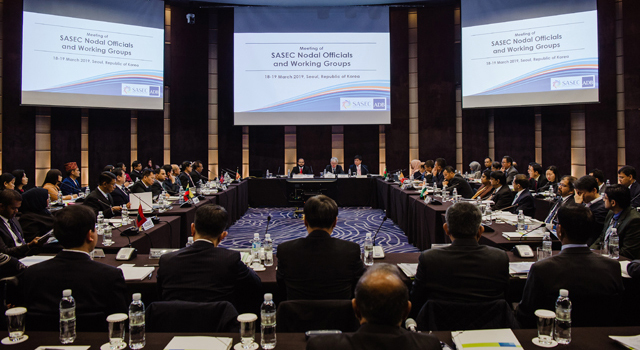 Mr. Takayuki Miyoshi, CCF/Japan Operational Manager/Program Manager South Asia of WCO ROCB A/P and Mr. M.M.M. 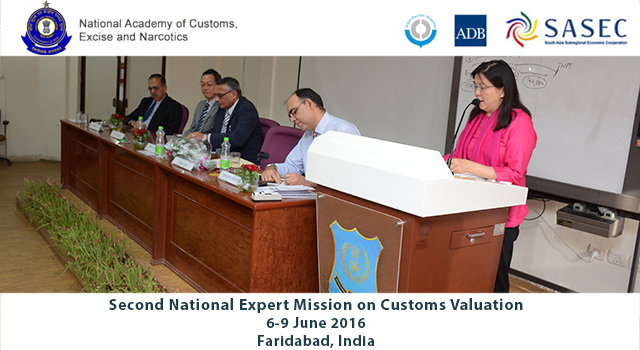 Rishafy, WCO-accredited Customs expert also participated in the Workshop.